To be the best youth soccer club in the nation while developing good people. To bring our brand of soccer to every part of central Texas. Winning isn't everything but the commitment to be successful is uncompromising. Learn more about the philosophy, values, & ethos of the club. How we develop our players from U5-U19 in order to fulfill their maximum potential. Discover how our philosophy translates onto the field and into our game play. How we translate our philosophy of soccer into a soccer environment. How we educate and develop our coaches to help our players. Discover our essential functions that support our players and families. The Lonestar SC philosophy reflects the spirit of the club. Our players and coaches have positive, successful mentalities, strong values and high expectations for themselves. Lonestar players graduate into national, professional and collegiate programs familiar with commitment, hard work, responsibility and accountability. They proudly represent the Lonestar core values of sportsmanship, integrity, discipline, respect, leadership, and excellence on and off the field. The Lonestar SC playing philosophy reflects the strengths and common characteristics we have as a club. We build our playing style around our individual players who follow the Lonestar philosophy & curriculum. 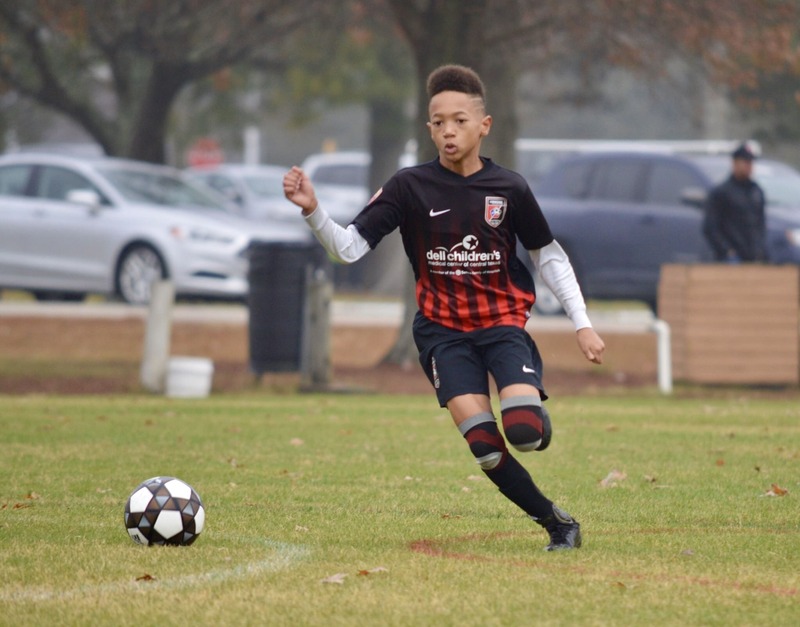 Lonestar players display common characteristics: individual talent and creativity, hard work, discipline with a strong will to succeed playing quality attacking soccer. - Create an age appropriate, positive learning environment where individual players feel valued, respected and can enjoy playing soccer. - Create an individual player-centric development model where each player can set their own soccer development pathway. - Offer a complete youth soccer development pyramid where players can train and compete at an appropriate level where they are challenged and can strive to be successful. - Develop players to reach their true potential in national, collegiate or club soccer programs. Lonestar believes that the early childhood stages of soccer development should be fun. Our approach is player-centric; maximizing touches on the ball while creating a love and passion for the game. By utilizing age appropriate activities with one player to one ball, we are emphasizing the movement of players and comfort level with the ball. We see the coach as a facilitator of the game at this stage and use the "new ball" method at the recreational level to keep the players engaged. As the players get closer to the age of 8 we make sure we are preparing them for the Skill Acquisition phase (U9-U12), which is the next phase in their soccer playing careers. Lonestar believes in holistic training where every activity includes all four facets of the game: technical, tactical, physical and psychological. We have prioritized the technical actions of soccer into the first touch, striking the ball, running with the ball, and 1v1 play. Players follow a set annual training curriculum with age appropriate training objectives through fun, enjoyable and challenging training activities. Training activities are game related where players compete in small sided games to develop individual technique and tactical decision making. This stage of development is vitally important to develop ‘skillful’ players who move on to the 11v11 game and effectively implement the Lonestar style of play. Lonestar has a set playing philosophy and style of play. We prioritized our principles of play within the four key moments of a soccer game (attack, transition to defend, defend, and transition to attack). Each playing format (7 v 7, 9 v 9 and 11 v 11) has a system of play that effectively implements our principles of play into the Lonestar style of play. We develop our players through annual periodization training programs where each age group has progressive overall training objectives, team tasks and individual development training objectives. - Flank play with the 2,3,7, and 11 through the thirds of the field. - Penetrating through the 4 and 5 into the middle third of the field. Building out of the back against three or two opposing attackers. - Deny opponent's dribbling to penetrate. How we educate, develop, and advance our coaching staff to help our players develop. The Lonestar SC coach is a student of the game of soccer who understands the club and playing philosophy. Most importantly, they are role models for the players and believe in and hold themselves accountable for the club core values. The Lonestar SC coach is a great communicator, who is innovative, positive, optimistic and professional. They create a safe, positive, age appropriate, enjoyable, professional training and game environment for our players. Their training sessions are developmentally appropriate, creative and fun, which in turn challenge and develop our players technically, tactically, physically and mentally. Discover our essential functions that help players excel into elite players and people. Lonestar SC has been approved as an Off Campus Physical Education Program, and allows players from various school districts in the greater Austin area to be exempt from school physical education programs. Players use this time to make up school work missed from Development Academy travel and attend extra training sessions when applicable. Due to the extensive travel required in the DA, Lonestar SC allocates time for study hall, which is mandated for all players. In conjunction with US Soccer, Lonestar SC provides players with documentation to school administrators for days missed. This ensures players receive ample time to make up schoolwork missed. 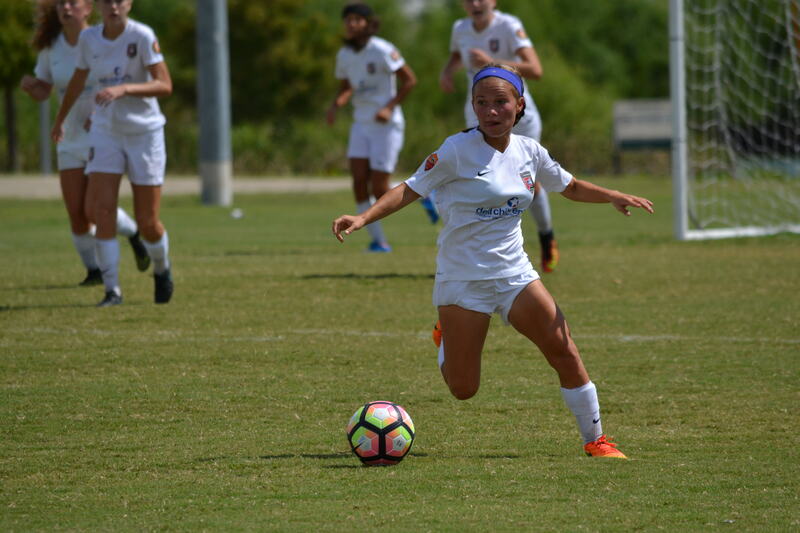 Lonestar SC employs a full-time Club College Placement Director to help educate players and parents in the selection, application and acceptance process. Financial Aid is available to all players via application and approval process. We play a proactive attacking style with highly skilled players based around the four key moments of the game: in possession (attacking), transition to attack, out of possession (defending) and transition to defend. Proactive means that we want to control and possess the ball with the intent to penetrate and score. In attack, we give our players the freedom to improvise and encourage them to penetrate where possible and encourage a mindset to go to ‘goal’. We want our attack to have mobility, width and depth to create opportunities for overloads in all areas of the field. In defense, we aim to press and win the ball back quickly through individual and group pressing. If we can’t win the ball back quickly, we delay the opponent and make quick and incisive recovery runs to compact the space around and behind the ball. How we line up to execute our philosophy and style of play. Lonestar SC employs a 1-4-1-2-3 system of play similar to many of the most current successful club and national teams. 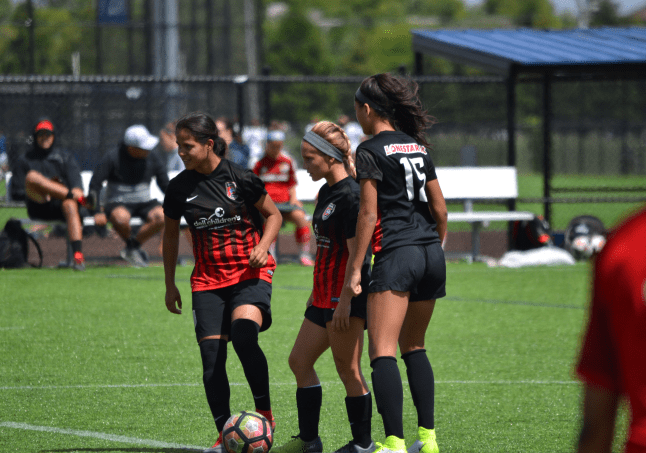 Lonestar SC believes that this system of play offers the best opportunity for our players to play the Lonestar style and implement our principles of play. This preferred system of play will assist players and coaching staff become familiar with the tactical principles within our style of play. 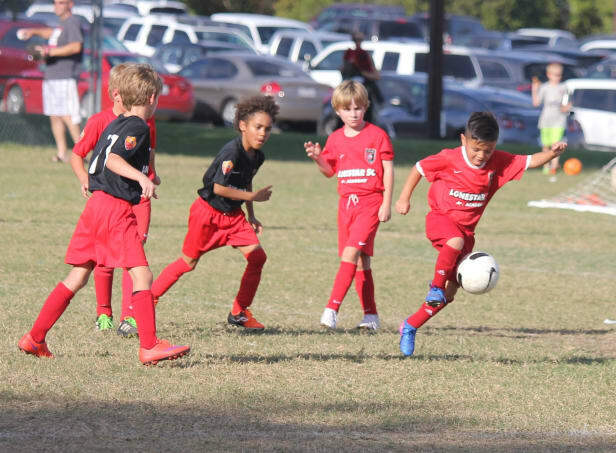 Lonestar SC players are developed in our style of play through our skill development and game training phase.